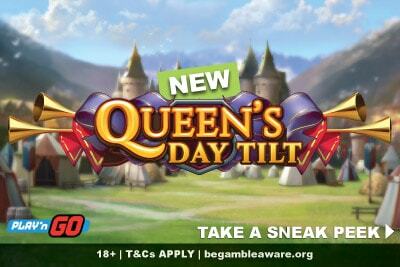 Update 14th Feb 2019: Head over to Casumo casino and play the Queen's Day Tilt slot online or mobile. Play'n GO have announced that their big game release this month is the Queens Day Tilt slot on the 14th of February 2019. 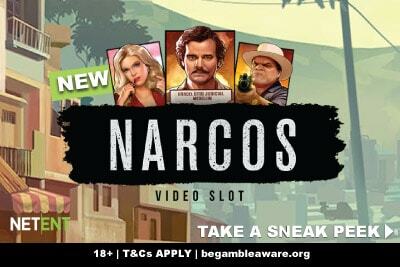 Other than the awkward name, is this new slot machine going to be worth playing? Aaah Valentine’s day… a day for flowers, roses, lovers and big romantic gestures. But not for the guys over at Play’n GO who have decided that their big Valentine’s Day slot release is going to be about a tyrannical matriarch who will pit her two best fighters against each other for gold and coins. Because the designers at Play’n GO casino studios know that love can only be won through war and riches, and ultimately, it’s the women who have all the power. You know what? We are kinda onboard with that. What makes Queens Day Tilt slot special? Well, for one, if you look at the picture, you may be tempted to walk away, thinking this is a classic 3 reel slot machine. 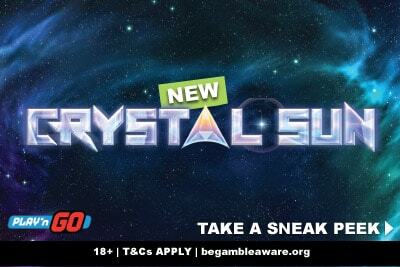 But, if you are as big a fan of this game studio as we are, you know that their 3 reel slots are anything but classic fruit machines. In fact, if we had to describe them in any way, it would be 3 reel video slots. Well, how about the Sea Hunter game which gives you power-ups for each win? Or Eye of the Kraken game, with free spins, scatters, wilds and pattern wins. So you know this Queens Day Tilt slot is going to be like nothing you’ve seen before. What do we know about the slot features? Plenty, because Play’n GO are the kind of provider who likes to be open about all their games. They have no skeletons in their cupboards, just knives, swords and treasure chests. Game of Accession: If you win using both high paying knight symbols, you get one re-spin with only those symbols. You get to pick who will create the most wins, and if you are right, you get an additional bonus win from that spin. Queen’s Day Free Spins: If you clear the board you get 5 free spins with no low paying symbols, more features, and a starting multiplier of 2x. The multiplier increases when you get a win with 2 high paying symbols at the same time. So you see what we mean? This is as far from a classic slot as Gonzo’s Quest is based on a real explorer. Will you play Queen’s Day slot on the 14th of February? Well, if you have someone special in your life and want to celebrate the day of love… then maybe you should probably go out with that person rather than play slots online. We are not here to give relationship advice, but if you choose casino games over your respective another half, you’ll probably end up alone playing slots for the rest of your life. So don’t do that. But, if you, like the guys at Play’n GO, are not into Romantic phone slots or romance or love, then yay! You have the perfect game to play come Valentine’s Day. The three main features look interesting. The Queen is the wild symbol and she shows up randomly (the ruler feature) or when you get a 3 of a kind win. So far, so good. The tilt feature is really just a nice way of saying that sometimes they will help trigger the free spins, sometimes not. So really it’s the two free spin bonuses that are the most interesting. And yes the 5 free spins with the increasing multipliers will surely be where the big wins are found. But it’s the head to head with the two knights that intrigue us most. Mostly because you have to choose your favourite of the two symbols, and if you guess right, you get twice the win on the board. Now, these are the highest paying symbols. 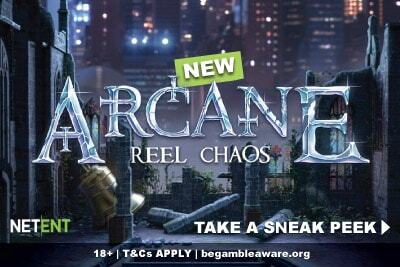 If this pays off well enough, we may forgive it the fact that (as we suspect) the free spins will be hard to find. We have yet to not like one of the 3 reel slots from Play’n GO, but this actually has far more in common with the grid slots like Energoonz and Golden Ticket game. With those disappearing symbols, each falling into place giving you multiple wins in a single round, we can imagine this will be fun to watch. But will it be as effective over 3 reels? That’s something we will only know come February 14th. But it worries us. It’s hard enough to clear a big board with 8 symbols. A smaller board with just the same amount of symbols? Then again, this is going to be a very volatile game. So we might be willing to have a little patience if we can win as much as 5,000 times our bet. What mobile games should you play till then? If some of the ones we’ve mentioned didn’t already grab your attention, maybe some of the other 3 reel Play’n GO games like Big Win Cat slot or Sweet 27 on mobile might just get you spinning.